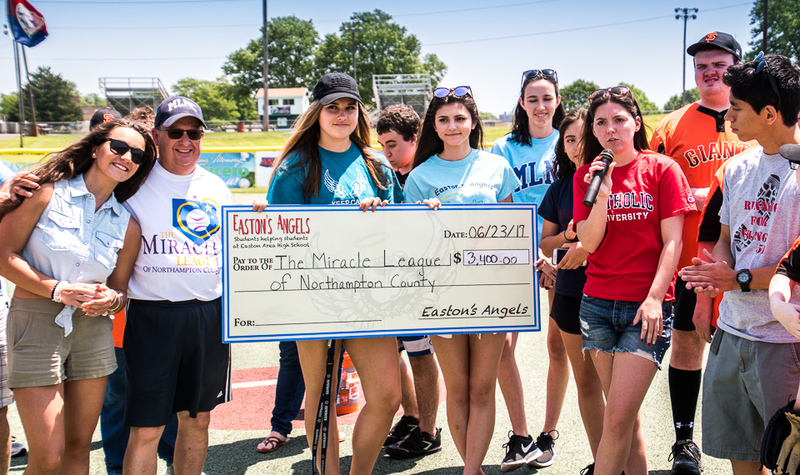 The Easton Angels of Easton Area High School provided the Miracle League of Northampton County with a check for $3400 at its June 10, 2017 Miracle League game. Since the Angels was formed in 2012 they have been a very important organization to the MLNC in many ways. Many of the members have been very active at our games and special events by providing buddies, video board operators, announcers and when we need help in the concession stand they step forward if they are at the field. Each of the past several years they have had fund raisers and our league has been one the benefactors of their generosity. On behalf of the Board of Directors and Players we thank the Easton Angels.